On our Yosemite Hotel 2-Day Tour, you’ll have enough time and flexibility to see everything the park has to offer. The tour is fully-guided so you get a more complete, personal experience. 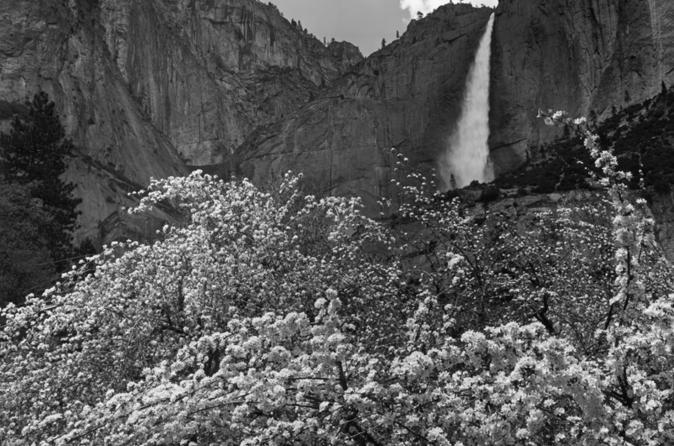 During your two days, you will see and photograph such famous highlights as Yosemite Falls (the tallest waterfall in North America), El Capitan, Half Dome, Bridalveil Falls, and Inspiration Point. 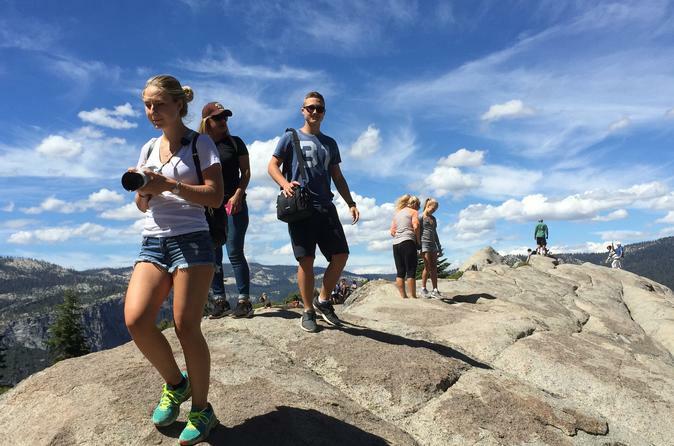 The tour also includes a trip to Glacier Point and a hike among the Giant Sequoias (weather permitting). At night, you will sleep comfortably in the heart of Yosemite Valley at Yosemite Valley Lodge at the base of Yosemite Falls or Cedar Lodge which is situated in the picturesque Merced River canyon. 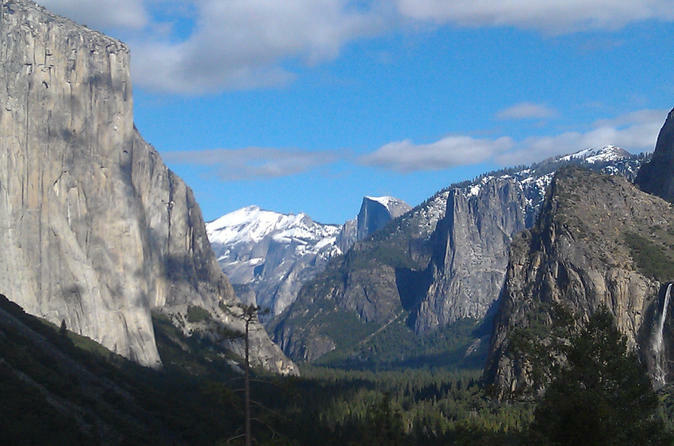 Slip away to Yosemite Park for two days with us! Likely to Sell Out: Rooms at the Yosemite Lodge often sell out months in advance. If Yosemite Lodge does happen to sell out, you will be offered similar accommodation at the Cedar Lodge. Explore America's favorite national park on a 3-day camping trip that takes you off the beaten path to trails and sights unseen by most who venture here. You'll enjoy three days and two nights of camping, hiking and swimming in a fun-filled, friendly atmosphere. Never camped before? No problem! 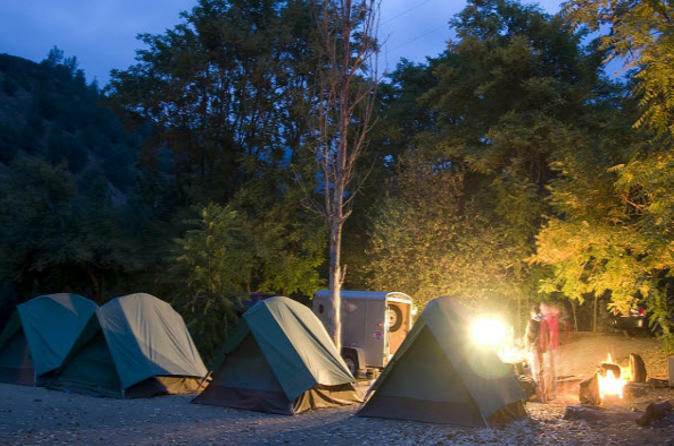 The necessary camping gear is provided for you, and the tour is fully guided. 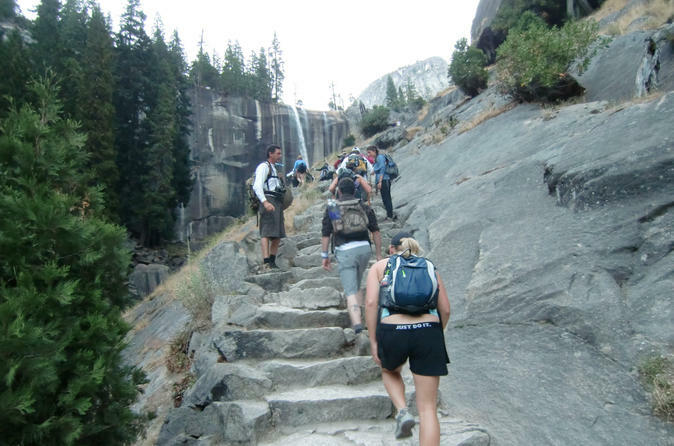 Outdoor enthusiasts of every fitness and experience level can enjoy this amazing Yosemite hiking excursion. 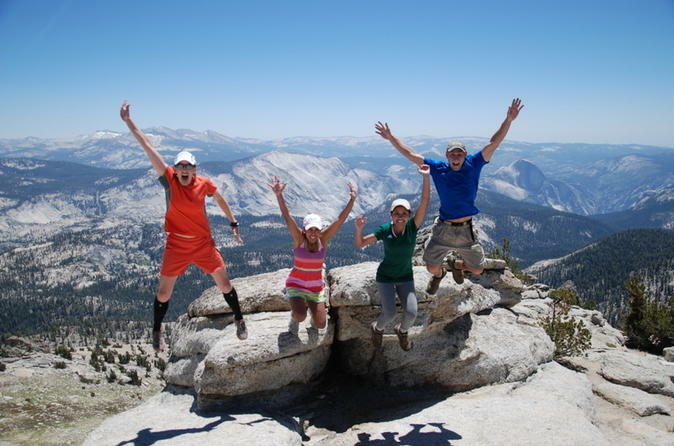 Choose from a beginner, intermediate, moderate, challenging or strenuous hike in Yosemite National Park to Sentinel Dome, Glacier Point, Cathedral Lakes, El Capitan, Clouds Rest or even Half Dome! You’ll be away from the crowds for an intimate connection with your magnificent surroundings. Whether you are a beginner or an experienced hiker, you're sure to enjoy this trip of a lifetime. Calling all adventurers and independent travelers! 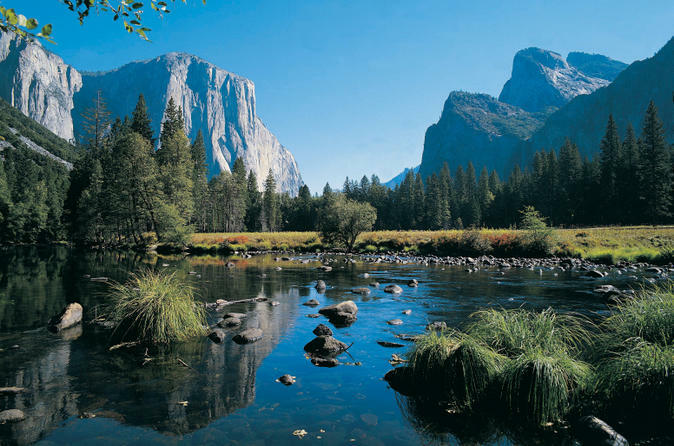 Maximize your visit to Yosemite with an overnight stay on this comprehensive 2-day tour from San Francisco. Get your bearings on a guided tour through California’s most famous national parks, then enjoy plenty of free time at Yosemite to pursue your own interests at your own pace. With a choice of 3 styles of accommodation, you can spend two days exploring El Capitan, Yosemite Falls, Half Dome and more. Enjoy a beautiful and relaxing 9 hour tour of Yosemite, with highlights including Glacier Point and all of the iconic sites of Yosemite Valley including waterfalls and famous rock formations. Your guide will pick you up from your hotel or an airport or train/bus station. For lunch you will be stopping in the Yosemite Valley at a cafe by Yosemite Falls with a variety of food choices at a reasonable price. See Yosemite National Park on an outing that combines short easy hikes with outdoor education–great for children and adults alike! 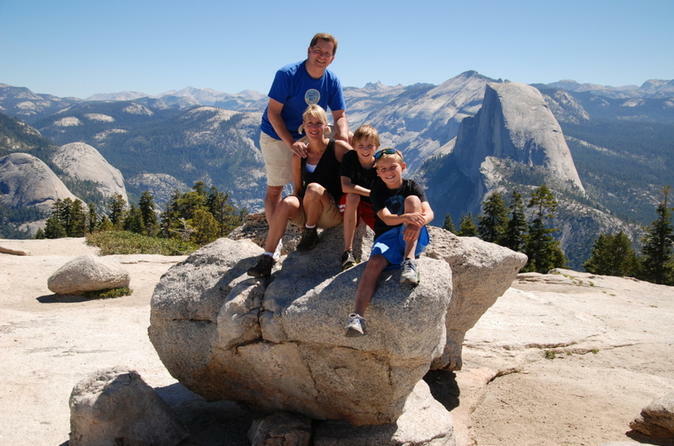 Spend quality time with your family and friends while learning about Yosemite from your experienced guide who will tailor the day to the experience level of your group. Come away with in-depth knowledge of this natural wonderland as well as great photos for your album. 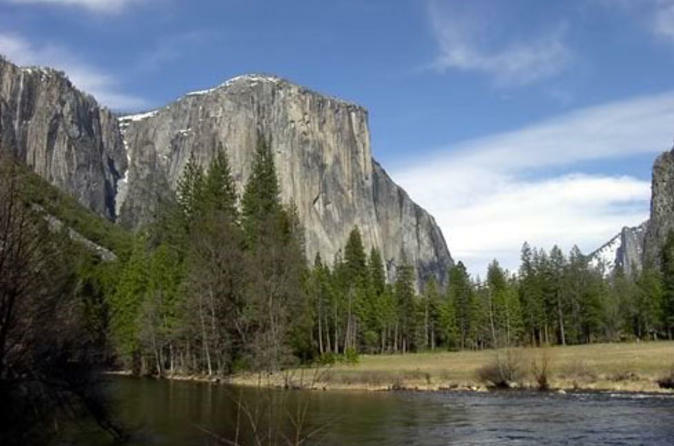 Learn about the natural and cultural history of Yosemite National Park on this 4-hour private walking tour around the floor of Yosemite Valley. Customize your itinerary with a private guide, and choose from a variety of destinations. Hike to the base of Yosemite Falls or Vernal Fall; take a shuttle to the base of El Capitan or Bridalveil Fall; visit the Ansel Adams Gallery Museum; marvel at the famous Ahwahnee Hotel; or discover the secret ‘Indian Caves’ — it’s up to your private group (up to eight) how you spend your morning. Experience the majestic landscape and jaw-dropping views of Yosemite National Park on this private, guided full-day trip from San Francisco. 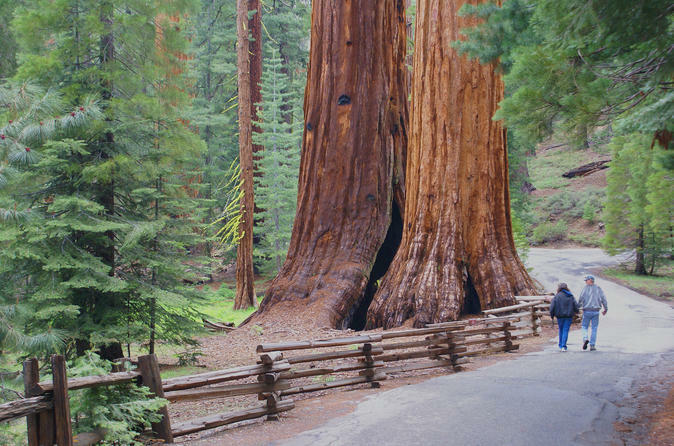 You’ll pass through California’s Central Valley and iconic Gold Country before entering Yosemite, where you’ll have around four hours to explore one of the best national parks in the country. Set foot on the Mist Trail, one of Yosemite National Parks most popular routes, during this 4-hour guided hike from Yosemite Valley. The vertical trail brings you to the base of Vernal Fall, then crosses the Merced River for postcard views before you ascend a steep, granite staircase alongside the 317-foot (96-meter) cascade. Be prepared to get wet on the way to the top! There is a guide-to-client ratio of 1:6 to ensure personalized attention, and an alternate route available for the descent. This seasonal tour operates from May to October. 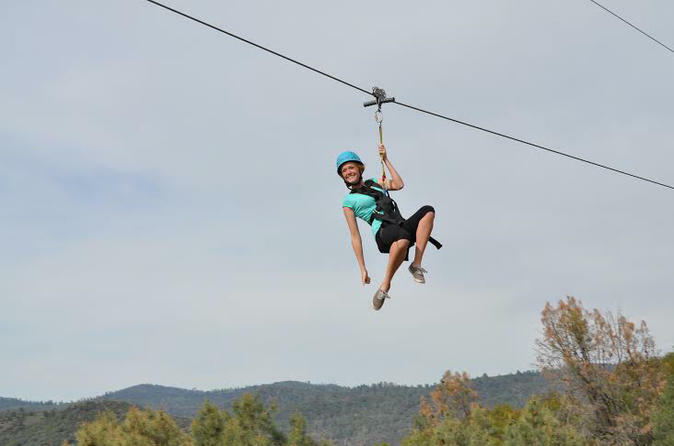 Follow your guide along an amazing 6-line zip tour in a beautiful outdoor adventure park 1-hour south of Yosemite Valley. This zip tour is suitable for the whole family, from ages 8 and up, and is a true "no sweat adrenaline" experience! The park features expansive views of a 3000-acre working cattle ranch on one side, and a birds-eye view of the quaint Gold Rush town of Mariposa on the other. This tour also includes two exciting rides in a 4-wheel drive Polaris Ranger. Come "Get Your Zip On!" This is small group photo class will take you to select locations in Yosemite Valley to provide hands-on instruction with your digital camera. There is no better means of learning than in the field with one of the Staff Photographers from The Ansel Adams Gallery. This class is designed to improve your technical familiarity with your digital camera. You will visit different sites within Yosemite Valley based on what the current conditions suggest will provide the most photogenic views, and learn tricks for different lighting conditions, and how to apply those more broadly to other scenes you experience. Our goal is to improve your proficiency with a camera and give you the tools to further develop your artistic vision. 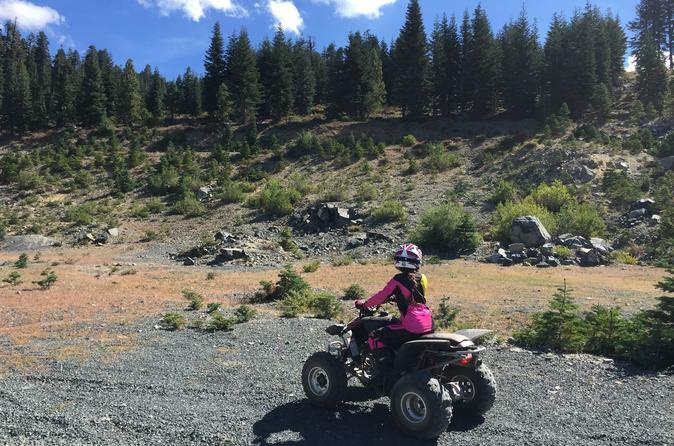 Go on an off-road ATV tour in the Sierras. See waterfalls, drive through creeks, and go on the roads less traveled. Choose from multiple departure times on this 2-hour ATV tour.